A seat belt is designed to extend and retract when necessary. When you pull your seat belt on, the seat belt spooling allows you to pull the seat belt out to the necessary length required for you to buckle in. However, when a sudden force causes the person in the belt to lurch forward, the seat belt is designed to stay in place, keeping the person securely within their seat. 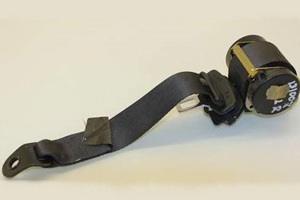 When this mechanism is defective and fails during a car collision, the seat belt may stretch when it is supposed to retract, which could cause the individual to slam forward into the dashboard or the seat in front of them. Defective seat belt spooling is a serious issue because it takes away the protection that seat belts are supposed to provide and leaves people vulnerable. If you or a loved one was injured in a rollover accident in part because of a defective seat belt, the Willis Law Firm may be able to help you obtain compensation for your injuries. To speak with a knowledgeable legal professional, contact us today at 800-883-9858. Any of these issues can result in severe injuries, typically involving damage to the brain and spinal cord, which can be life-altering. If you or a loved one was injured because their seat belt failed to function properly, the Willis Law Firm may be able to help you obtain compensation from the vehicle manufacturer. For more information on how we could possibly help you and your family, contact our offices today at 800-883-9858.